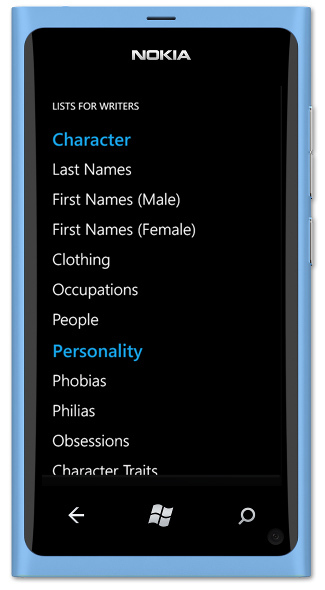 We are happy to announce a Windows Phone 7 version of our Lists for Writers app. We hope to continue to bring more of our apps to the Windows Phone and Windows 8 platforms. This entry was posted in apps and tagged lists for writers, Microsoft, Windows Phone by Jon. Bookmark the permalink.